Our Domain Names come with tonnes of FREE features and powerful online management system giving you the best value and support that more customers have come to rely on. It may seem simple, but choosing a domain name is one of the most important decisions you will make for your website. Whether it’s a premium or cheap domain name or Canadian domain name, the words you use in it will have a huge impact in how it performs on the internet. The most basic and most important tip when naming a domain is to include keywords that you want your site to rank highly for on Google. Registering your domain for several years is considered favourably by Google in its rankings. This is a sign of reliability and stability which improves the ranking of your site. 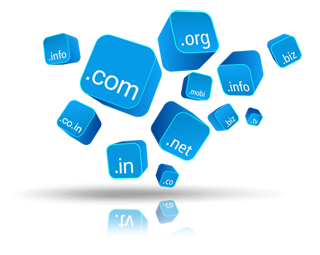 BayStranger Technologies offers all major top-level domains (TLDs): .COM, .NET, .ORG, .BIZ, .INFO, and .NAME. We provide many country-code extensions (ccTLDs) as well. See this list below for domain extensions that are currently available on. Be sure to check back often, we add new extensions as soon as they become available. Learn about the most popular domain extensions available at BayStranger Technologies!